Searchable library of photos showing product configuration examples. Special bundle deals available only on this website. The fine pole magnetic circuit (FPH) maintains a low magnetic penetration to the work piece. This allows for superior holding of thinner workpieces. The design has no negative effects on sinker edm operations near the surface of the magnet. 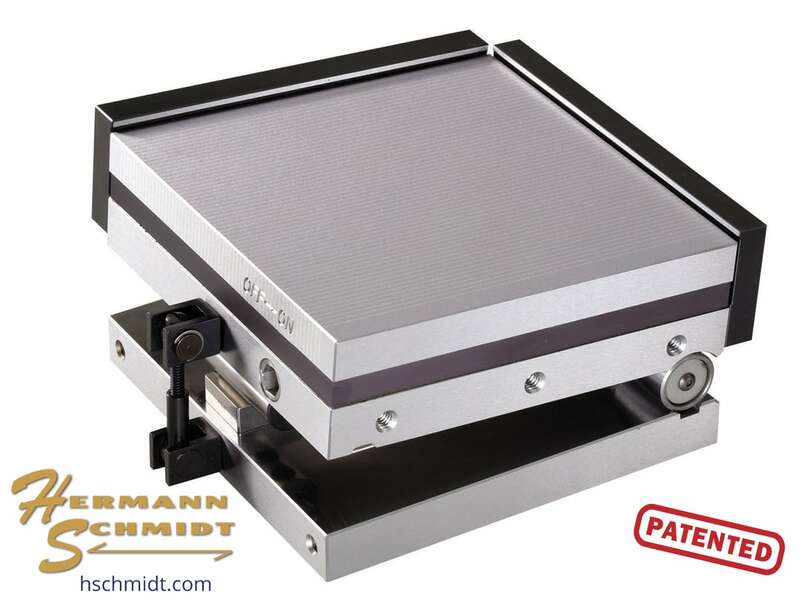 This design allows for a very low height and light weight sine plate. 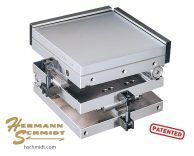 The patented sine plate locking system ensures positive clamp down without any negative affects to sine accuracy. The fine pole top plate has 56 – 1/16″ major poles separated by 1/32″. Stainless steel strips and utilizes rare earth magnets. The chucks are completely sealed and suitable for wet grinding or RAM type EDM. Bottom plates are oil hardening tool steel, deep frozen for stability. Rolls are oil hardening tool steel.